Google “being plus size and pregnant”, “plus size pregnancy”, “obese and pregnant”, “fat and pregnant”, or some variation of those search terms and upon review of just a few links, you’ll be led to believe you will most definitely, without a doubt, no matter what, develop complications during your pregnancy because of your size. If that wasn’t bad enough, the comments section of most articles are a lot like walking through a minefield. You may be able to walk away unscathed. Or you could read some truly damaging comments. Comments including people saying you don’t have the right to be a mother simply because of your size. The reality is, while there are some increased risks, women of all sizes can have healthy pregnancies!! 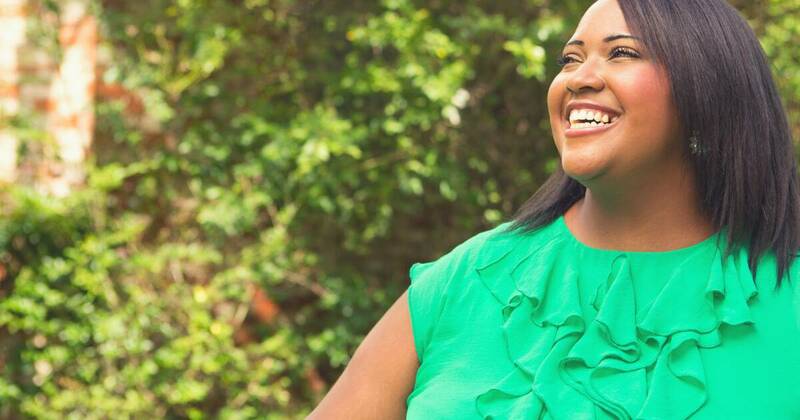 The most common plus size pregnancy frustrations include not being able to find affordable plus size maternity clothes or struggling to connect with a size friendly care provider – but let’s dig deeper! 1. You might be tested twice for gestational diabetes. As I mentioned above, there are increased risks and gestational diabetes is one of the main ones. Screening is important! Often people with a BMI over 30 having a hospital birth will be tested twice with the standard glucose challenge test. 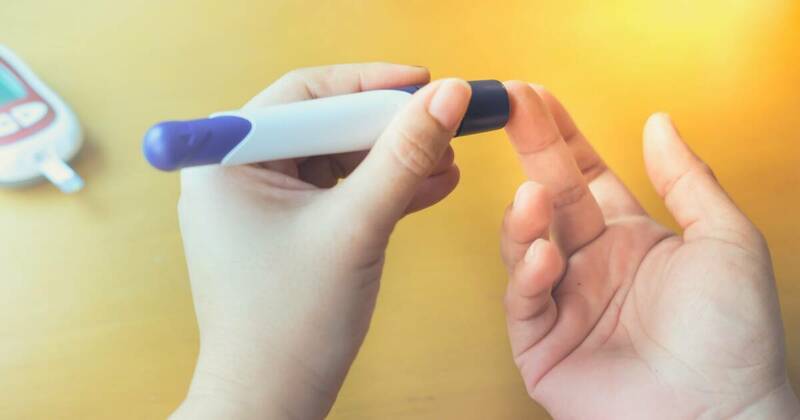 The first test for gestational diabetes is given very early on in pregnancy (to see if you are already pre-diabetic or diabetic). 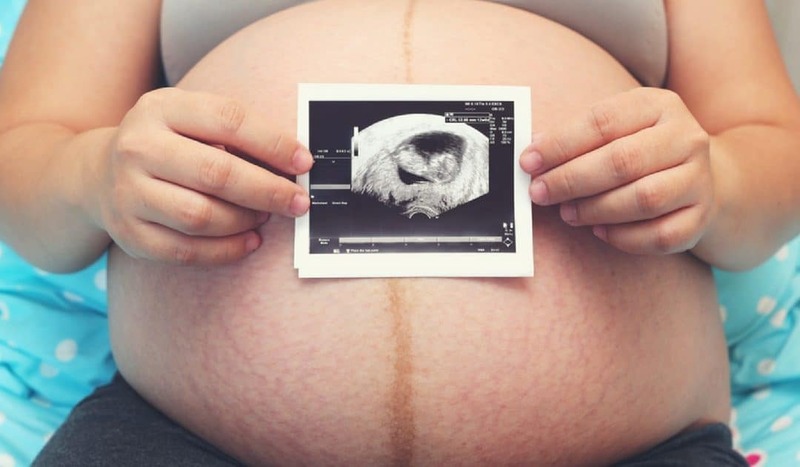 Then when you hit 24–28 weeks of pregnancy, when all women are routinely tested for gestational diabetes, you’ll be told you need to be tested again. I want to make sure you know that being tested twice is extremely common. It’s done in the best interest of your health and the health of your baby. I just wish more care providers let their plus size clients know that this will occur! With that said, it is a red flag if your care provider tells you that you will develop gestational diabetes based solely on your size. Or if they insist on testing you for this condition monthly. If something like this happens to you, advocate for yourself by getting a second opinion, or consider switching to a more size-friendly provider. 2. Weight loss during pregnancy is not uncommon. Weight is such a triggering topic, I know. Still, we’ve got to talk about it! There’s evidence to show that limiting weight gain during pregnancy can actually help you to have a healthier pregnancy overall. 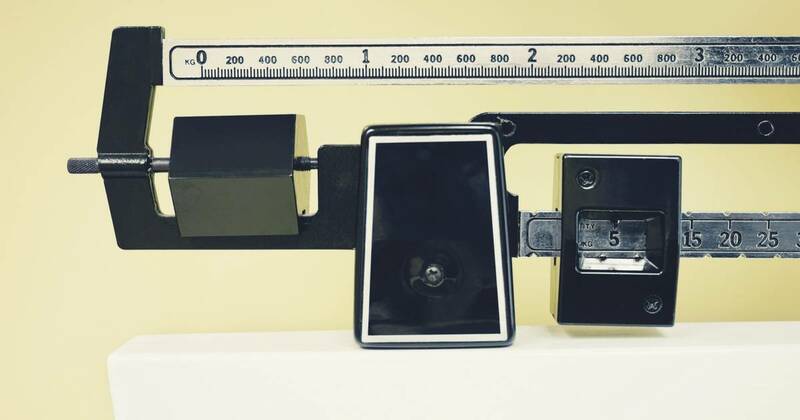 Plus, odds are your care provider will tell you not to gain more than 11 – 15 lbs. Now, while knowing your weight and working to limit your weight gain during pregnancy is something to strive towards. We emphasize this isn’t achieved by dieting, depriving yourself or restricting calories! Quite the opposite, it’s all about being proactive with your nutritional choices (consider connecting with a registered dietician) and being physically active. If you weren’t already doing these things, a change in your habits can result in limited weight gain or even losing weight during pregnancy. Quick recap – this isn’t about trying to lose weight during pregnancy! However, if you are proactive with your nutrition and physical activity during pregnancy, not gaining a lot of weight or even losing weight can be completely normal and healthy during a plus size pregnancy. As long as you are making healthy choices throughout your pregnancy, your body is going to gain what it needs to in order to grow your baby. As your pregnancy progresses, your care provider will start measuring your belly to track growth. This is called fundal height measurements (the distance from the pubic bone to the top of the uterus measured in centimeters). Real talk – as plus size woman, we come into pregnancy already having a belly. Because of this, plus size women have a new normal or baseline measurement. 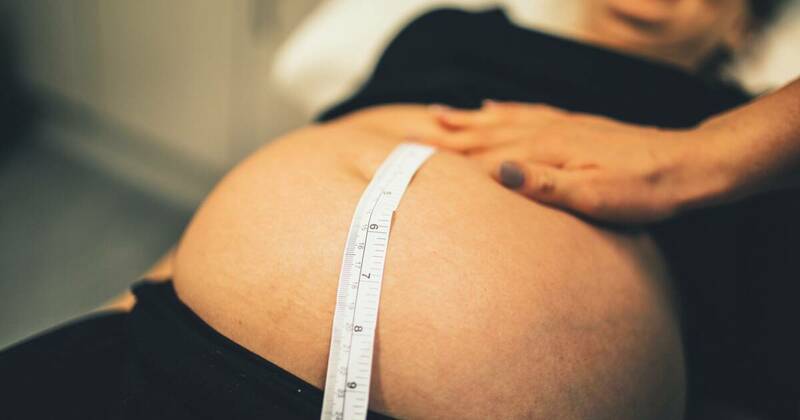 Your care provider will account for this within your measurements and you’ll likely always be “ahead.” For example, if you’re 30 weeks along, your care provider might say you’re measuring at 34 weeks. This is normal and it doesn’t mean you’re actually further along with your pregnancy. It just means you had more centimeters there to begin with. 4. Pregnancy can change the way you see your body! You are growing a baby in an amazing body that society has led you to believe is inadequate. The truth is, your body is incredible and pregnancy is a time when many plus size women are able to see their bodies in new and beautiful ways. Connect with your belly rather than trying to hide it! Learn how to find your voice and advocate for yourself and your baby during your medical care. Transform old habits and implement new and wonderful ways to nourish and care for your body. Let go of the labels others have placed upon you and stop giving them control over how you feel about your body! As your belly grows, be open to connecting to and loving your body in ways you might never have before. 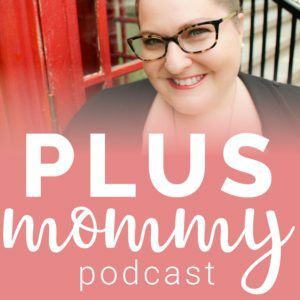 Want to learn more about the in’s and out’s of having a healthy plus size pregnancy? 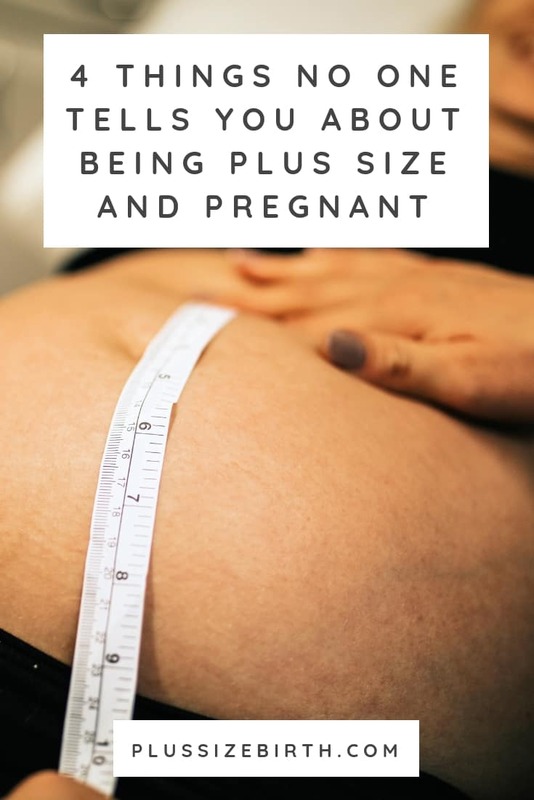 From prenatal care expectations, increased risks (and how to reduce them), nutrition, physical activity, how to connect with a size-friendly care provider, body image and so much more – check out the My Plus Size Pregnancy Guide, today! Such a great article! Very true that these things are common in plus size pregnancy. Personally I have experienced all except the early glucose test. But I have seen it very common among plus size women. Thanks so much for sharing Rachel! I hope Mommy Land is treating you well!! I wish I would have found this article when I was pregnant with my daughter.This is spot on for me, anyways. I had the testing done twice. I couldnt find clothing in my size. I lost weight with her. I had doctors and other people tell me because I was big that i wouldnt have a normal pregnancy. But, i did. And, for the first time i loved my belly…. I found books on being pregnant but none on being pregnant and over weight. I wanted the glow but i didnt get it durning my pregnancy. I got it after when I held my healthy baby girls in my arms…. Oh Laura, I wish you could’ve found my resources. Congrats on your healthy baby girls!! The first GD test is to make sure you are not diabetic or pre-diabetic early in pregnancy. This is when the fetus is most vulnerable for developmental problems from high blood sugar. Most women of size pass this but sometimes testing catches an undiscovered diabetic or borderline case. The second test is around 28 weeks or so because the increase in hormones of the placenta make women increasingly insulin-resistant as part of the normal pregnancy process. They test to be sure it stays in a reasonable range and that’s become standard for all pregnant women. Yes 🙂 Thanks for going into more detail than I did in this article Kmom. I’m plus size pregnant w my 6th child I’ve never had one problem they were all natural births and I actually lose mad weight while pregnant and end up 30 pounds lighter every time which will stay off till I stop nursing and then I blow up y can a doctor not figure out the issue and mimic it for weight lose…..is beyound me! Thanks for sharing your story and congrats on your 6th baby! I always like seeing the “you’ll be tested for gestational diabetes” because since I already have type 1 diabetes, it makes me feel special that I’ll be excluded from (what I hear is) that nasty orange drink. And yes, shh, I like to ignore the fact that t1d comes with it’s own potential complications in pregnancy. I recently started the keto way of eating–not a diet, as it’s going to be how I nourish my body from now on. Its worked really well for my blood sugar levels, has knocked out the bit of insulin resistance that I have, and I’ve lost a few pounds, so I’ve been worried about whether I would lose or gain weight during pregnancy or even whether my healthcare provider would “allow” it. Honestly, I can’t wait to challenge perceptions and fight people on what they “THINK” is right. Couldn’t have read this at a better time! Just found out we’re about 5wks pregnant w/ #3 and though I’ve been obese for my previous two, this time I’ve hit the 40 yr mark as well. I only gained 10 lbs total with each of my other pregnancies but have been so paranoid this time around. Luckily for the past 6 yrs of trying my doctors have been reassuring that I am overall healthy so shouldn’t be too much of a concern. Huge congrats Toni! You’re NOT alone. I’m so glad this article helped you to feel better and I encourage you to explore this website for a lot of positive resources. I’m currently 29 weeks pregnant. My BMI was about 35 when I got pregnant (endless fertility treatments did NOT help there! Ha ha). I was so worried about gestational diabetes, preeclampsia and all the other things they say plus sized women are going to have. So far I’ve had none of it. I passed my diabetes test with flying colors and my doctor has said he has zero concern about me getting preeclampsia. I barely gained any weight until very recent, but still not a lot. I dropped a little at first even with zero morning sickness. I feel so much better about my body than I ever did before. I wear lots of tight tops because I’ve found they look better on me now than loose ones. I wish more people were supportive like this. Thanks for the wonderful article. Oh, and people made tons of rude comments about my fertility issues and my weight. They were completely unrelated. I have an issue that would have been around my entire life (I was much smaller when younger). People shouldn’t assume things. Fertility trouble didn’t help my weight with all the stress, depression and medication. Thanks for sharing your story with us. Massive congrats on your pregnancy! I’m sorry for your fertility struggles. I hope you’re able to enjoy these last few weeks of pregnancy and continue to love on your body. This is truly one of the most empowering articles I’ve read during my pregnancy so far. I’m so happy you shared this and is great ammunition for a wonderful pregnancy journey. Thank you so much! You’re so welcome! I’m glad you found this information helpful. Wishing you all the best!